This man saved my life. Basically. 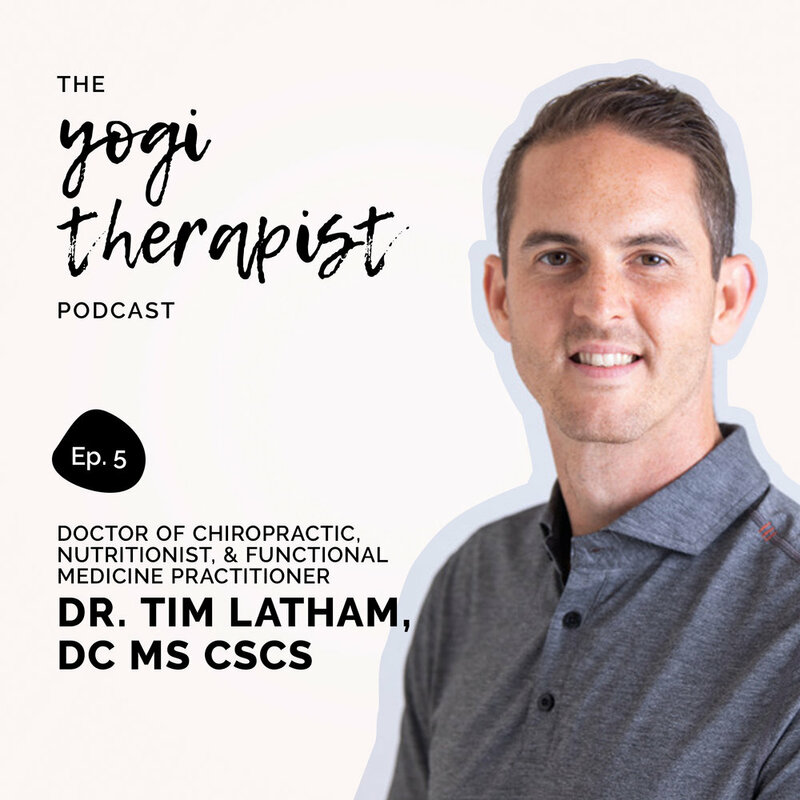 I’m so happy to be releasing this episode with Dr. Tim Latham, DC MS CSCS, a brilliant jack-of-all-trades. He’s got multiple degrees and areas of expertise, and he continues to learn all that he can about the ever-changing field of integrative health. I was fortunate to have connected with Tim after being diagnosed with a chronic pain + fatigue illness; through testing and non-judgmental conversations, he helped me make easy tweaks to increase my body’s ability to heal, recover, and thrive. I’d honestly never felt better! This episode is chock full of great recommendations for anyone to improve their overall health, as Tim shares simple ways to increase one’s quality of life through nutrition and movement. We talk about the body’s resiliency, and challenging false beliefs one has about the body’s durability. Anyone who nerds out over science and health will love this episode! Find Tim, his wife Dr. Laura Latham, and other integrative providers at their group practice in Boston at Back Bay Health & Performance, and you can also catch Tim as an adjunct faculty member in the Integrative and Functional Nutrition program at Saybrook University. some swears - yup, I’ve officially sworn/cussed/cursed on the podcast, folks!